According to a recent poll from Yale University, climate change is now the most polarizing topic in the United States. 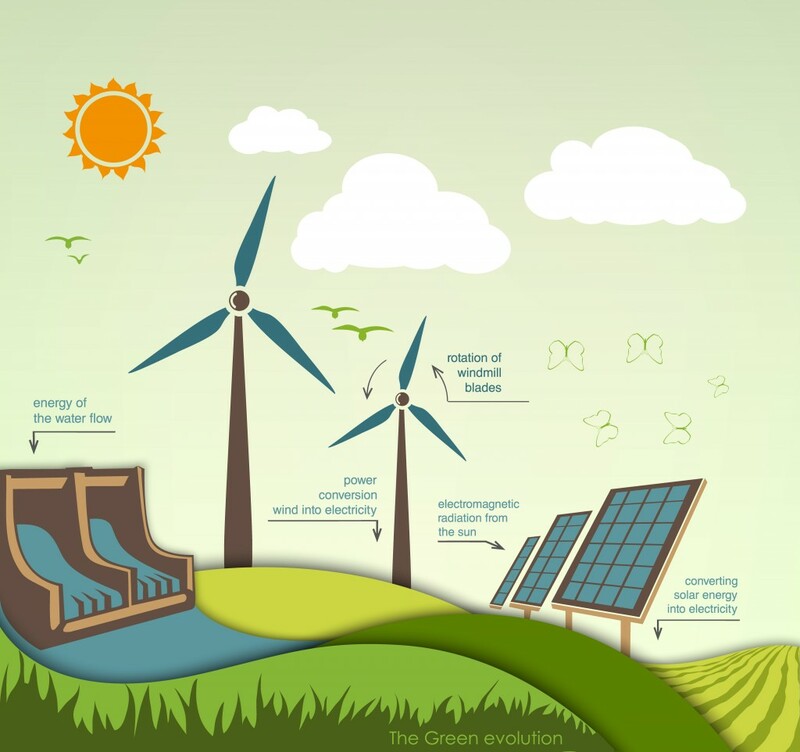 With such differing perspectives on the causes and implications of climate change, it is not surprising that conversations about renewable energy frequently turn into political debates rather than productive discussions on the potential environmental and economic benefits of renewable energy power generation. There is no debating that energy use in the U.S. accounts for just over two-thirds of the country’s total annual greenhouse gas emissions; and that power generation is responsible for the bulk of these emissions. According to a 2015 report by the International Renewable Energy Agency, if the amount of renewable energy produced by the U.S. in 2015 were doubled, then half of the total greenhouse gas emission reductions needed to halt global warming could be obtained. Luckily, windy days, sunny skies, plant decomposition, heat from the earth and fast-moving water abound on Earth’s surface. A 2012 study estimated that renewable energy sources have the potential to generate 118 times the amount of electricity currently used within the United States. Renewable energy generation often works in tandem with more traditional energy sources to promote job growth and more reliable energy production across the nation. According to the U.S. Department of Energy, an 86 percent increase in the number of wind and solar energy related jobs occurred between 2010 and 2014. The U.S. Department of Labor has indicated that average wages for energy-related and other science, technology, engineering or math-related (STEM) jobs are nearly double the average for all other occupations. From an end-user standpoint, renewable energies can offer relatively stable prices. After an initial infrastructure investment, the ‘fuel’ for most renewable energy technologies is free allowing energy generation costs to be easily forecasted. In contrast, fossil fuel and coal prices can vary dramatically. This variation can cause challenges for end-users when prices are high, and producers/utilities when prices decline. Overall, many considerations must be accounted for when looking at energy generation options, as each has unique benefits and costs. What is most efficient and economically feasible is likely to differ based on available technology, geographic area, and numerous other factors. Braun Intertec has been providing consulting services in support of renewable energy projects throughout the Midwest for many years. From initial project siting and permitting all the way through construction and operation of these facilities, Braun Intertec is committed to being a strategic partner for renewable energy projects. For more information on our renewable energy projects or our technical services, contact us at 855.995.4669.